The Wingnut Wings Fokker E.IV Eindecker is almost complete. I still have to finish painting the propeller and then rig all the rigging, two topics which I will cover in separate "how to" videos, but as far as finishing everything that is included in the kit - it is 95% complete. As such, I feel ready to answer my question of "Wingnut Wings - are they really that good?" In this third and final video in the series, I discuss the final construction of the kit, the fit of the subassemblies, and the quality of the Cartograf decals. 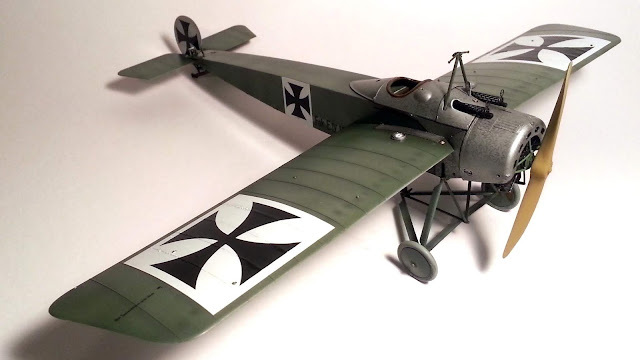 I could have masked and airbrushed most of the German cross markings, they are not that complicated, but I wanted to experience the entire Wingnut Wings kit and everything it offered. In addition to the prop and rigging, I've still got some weathering and a final matte coat to go. But overall I'm tremendously happy with how it has turned out. 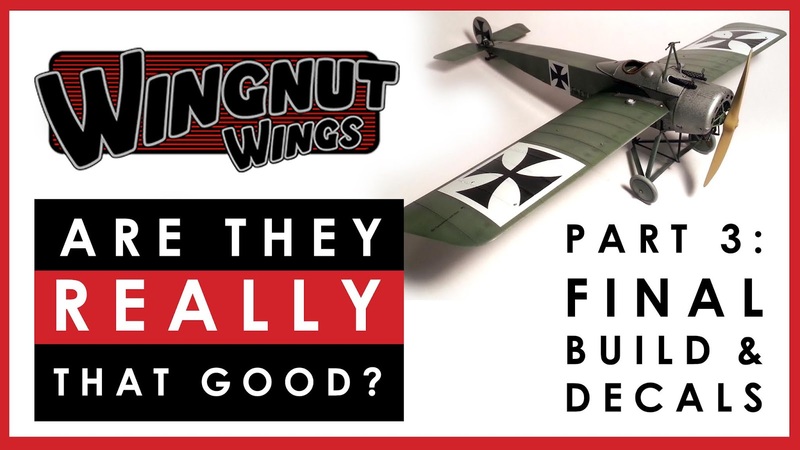 Are Wingnut Wings scale model kits as good as everyone says? Are they worth the hefty price tags? You'll just have to watch the video to find out.